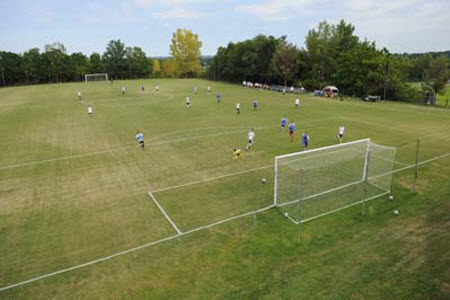 Home to the CUA soccer teams, the upper fields are surrounded by trees providing a great viewing atmosphere for Cardinal fans. A Patriot Bermuda grass surface was added in the spring of 2007 and the fields are equipped with an in-ground irrigation system. Bleacher seating is available and both fields have electronic scoreboards.